The extent of Britain's binge-watching culture was laid bare by Ofcom today, with new figures showing nearly 80% of people watch multiple episodes of a series in one sitting. Ofcom’s Communications Market Report 2017, published today, revealed stark differences in how older and younger people watch TV. Forty million people, or 79% of UK adults, use catch-up services such as BBC iPlayer or Netflix to watch more than one episode of a TV series in one sitting. More than one third of people (35%) do this every week, and more than half (55%) do so monthly, the report said. More than half of young people (53%) between the ages of 12 and 15 binge-watch catch-up TV, compared with just 16% of those over the age of 65, the majority of whom (59%) prefer a traditional release of one episode per week. With the ubiquity of smartphones and tablet computers, more than a third of people now watch TV outside the home; this includes 16% who watch shows while commuting. 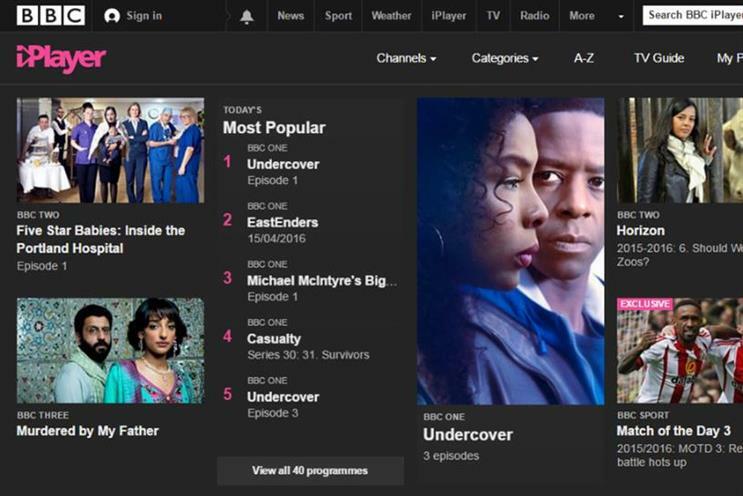 BBC iPlayer is the most popular on-demand service, with 63% of adults saying they use it, followed by the ITV Hub (40%), YouTube (38%) Netflix (31%), All 4 (26%), Amazon (20%), My5 (18%) and Sky Go (12%). The data was compiled by Populus from a sample of 2,356 adults and 505 teens. However, Sky said its customers are able to watch different broadcasters' catch-up services in one place on Sky Go, so Ofcom’s 12% figure "may not tell the whole story". A spokesman for commerical TV trade body Thinkbox said: "Catch-up has caught on. TV fits in and around our lives like never before. We’ve always binged when possible and now it is easier than ever. But we cannot live by binge alone and 86% of TV is watched live. "As Ofcom notes, live and shared viewing continue to be incredibly important parts of the TV experience. This is unlikely to stop as we are sociable beasts. Technology changes quickly but human needs do not."